Spring, Purified or Distilled - Which Type of Water is Healthiest? If you spend any time talking to people about water, chances are good you will hear a variety of "expert opinions." 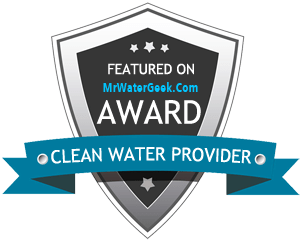 It seems like everyone is certain that their favorite water is the best, but there are some marked differences between spring water, purified water and distilled water. Rather than relying on the opinions of others, maybe it's time to find out what's really in the water, what isn't, and how it tastes. When disaster strikes, such as last year's "Super Storm" Sandy or Hurricane Katrina, one of the first casualties is the water supply. Victims of these storms needed to deal with the fact that their water was no longer safe for drinking or cooking. Needless to say, they became accustomed to buying bottled water quickly. This was quite an education for people who didn't own a water purification system. In the grocery store there are several different types of bottled water, including purified, spring and distilled. An overwhelming array of choices includes flavored zero-calorie waters, mineral waters, vitamin waters and carbonated diet water bottles. What happened to the days of picking up a few gallons of bottled water from the supermarket shelf? Now it's almost impossible to find these because everything is sold in 12-packs, 24-packs or larger. At first, it's easy to think you're buying the same product in a different container, but it turns out that even water bottles are not created equal. It's not hard to become an expert on water. In just a few clicks one can find out a lot from the Environmental Protection Agency (EPA) web site. Drinking water — Drinking water is just that; water that is intended for drinking. It is safe for human consumption and comes from a municipal source. There are no added ingredients besides what is considered usual and safe for any tap water, such as fluoride. Purified water — Purified water is water that comes from any source, but has been purified to remove any chemicals or contaminants. Types of purification include distillation, deionization, reverse osmosis, and carbon filtration. Like distilled water, it has its advantages and disadvantages, the advantages being that potentially harmful chemicals may be taken out and the disadvantage being that beneficial minerals may be taken out as well. Spring water — Many consumers prefer spring water for their bottled water because they believe it is purer than purified water. Keep in mind that if it's from an underground source your water might not have been purified. While spring water sounds more appealing, at least from an aesthetic standpoint, that isn't always the case. Buyers of spring water might imagine their spring water coming from a rushing fresh spring at the base of a tall snow-capped mountain, but this is rarely what it looks like and it's not necessarily the best drinking water. Some studies conducted by the Natural Resources Defense Council have revealed that spring water contains contaminants such as coliform, phthalates and arsenic. Beware of bottled water that is labeled as spring water when in fact it is coming from a municipal source. There is nothing more overpriced than a 24-pack of glorified tap water. Distilled water — A type of purified water, distilled water has gone through a rigorous filtration process to strip it not only of contaminants, but of any natural minerals as well. This water is best for use in small appliances — like hot water urns, or steam irons, because if you use it, you won't have that mineral buildup that you often get when you use tap water. Though it may seem counterintuitive, this water is not necessarily the best for human consumption, since all of the water's natural, and often beneficial, minerals are absent. As the glut of plastic water bottles begins to clog local landfills, many Colorado families are starting to use an in-home water purification system. Not only will this cut back on the number of plastic water bottles you use; it is readily available and more cost-effective. Simply fill up reusable water bottles with cold purified water or fill up your teacup with hot purified water, all of which is replenished directly from your home water supply.